I will from time to time use this blog when I feel I need to talk through some things so I am not giving up, but be sure to follow me on my other platforms for more frequent posting. 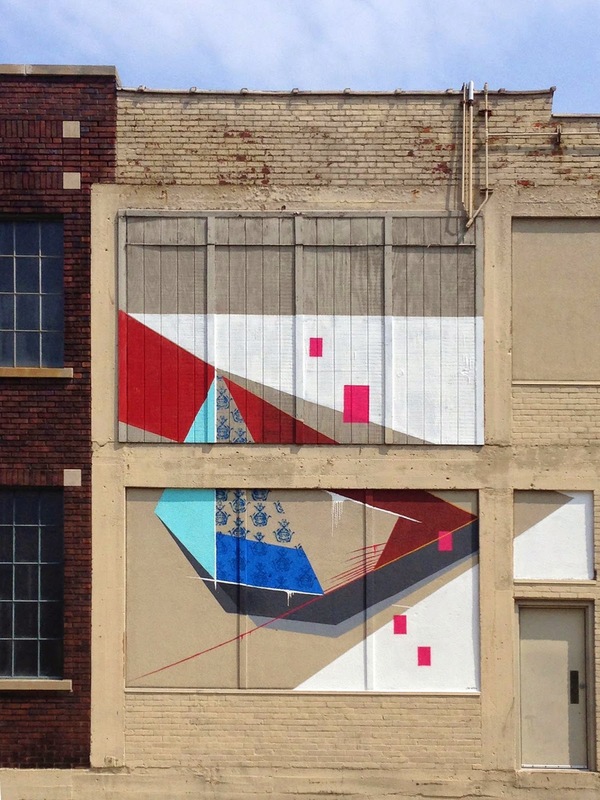 I have been asked to contribute a few works around town, in particular on boarded up/ overlooked areas around town. Below is the first completed piece. I created this piece with consideration to surrounding shapes and patterns with the intention of drawing attention to not only the piece, but the area surrounding it. To see other artist work and follow the project click here. 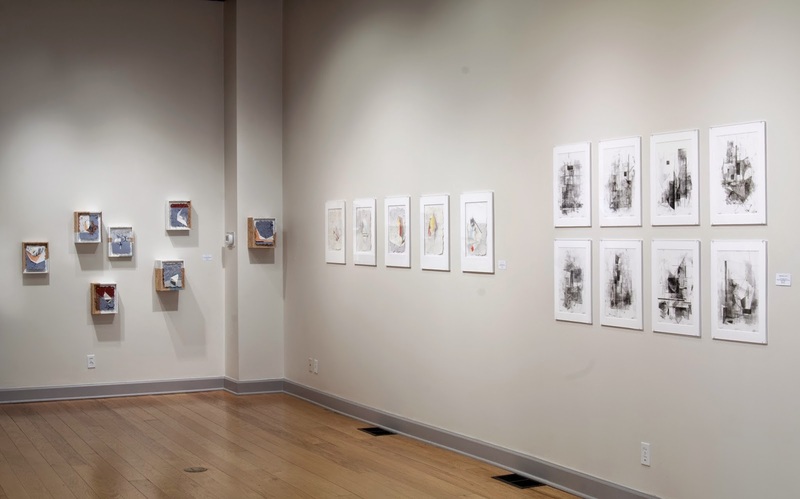 Here are a few installations shots my current solo show "Spaces Between" now at the Ivy Tech John Waldron Arts Center through August 28th, 2014. Feel free to stop by and take a look for yourself! 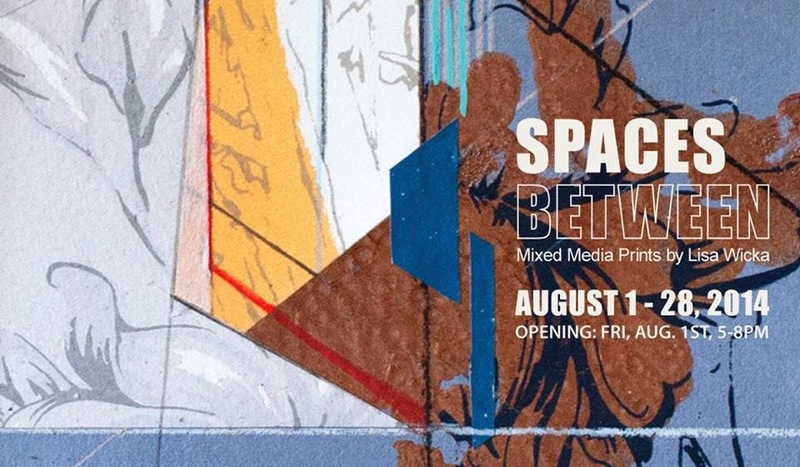 Hope you can join me reception night at my upcoming solo show, Spaces Between. I will be showing work that explores the dialogue between internal and external architecture and the body as a mediator. 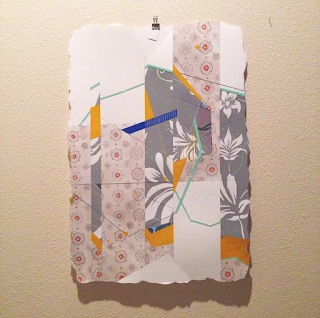 This work has stemmed from artist residencies (Sweden & Canada) where I have intentionally placed myself somewhere new. 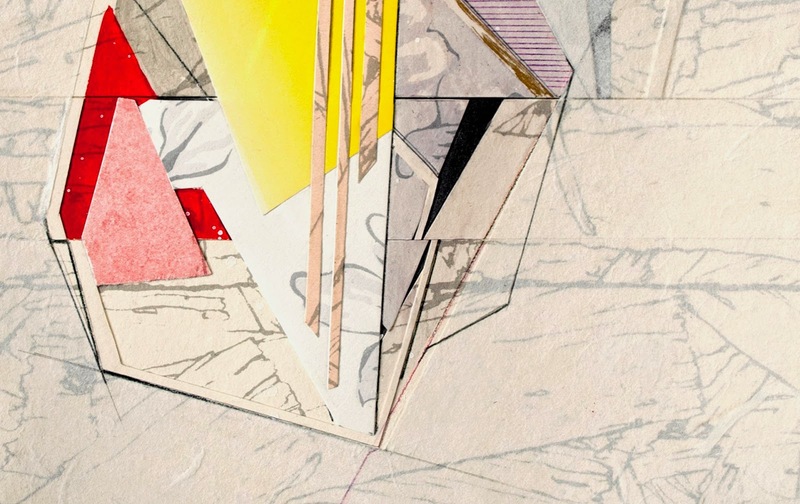 This work is a visual representation of the conversation and exploration of these new spaces. I will be available during the reception and hope to see you there! Please feel free to pass this on to others you may think are interested and live the Bloomington, IN area! Can't make it to the reception? That's ok! The exhibition will be up the whole month of August! Click here to sign up for newsletters with info/updates about new work, upcoming projects and exhibition news! 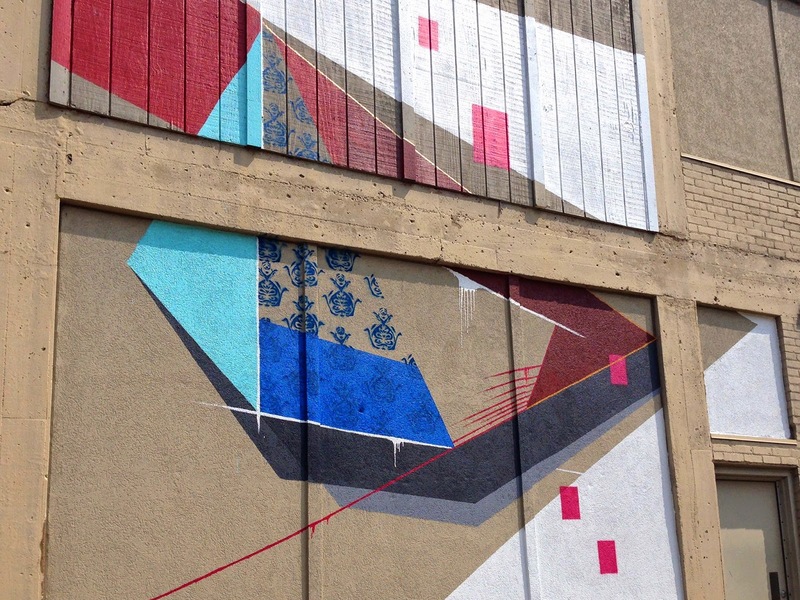 Melissa Diaz is a Brooklyn based artist and art therapist. 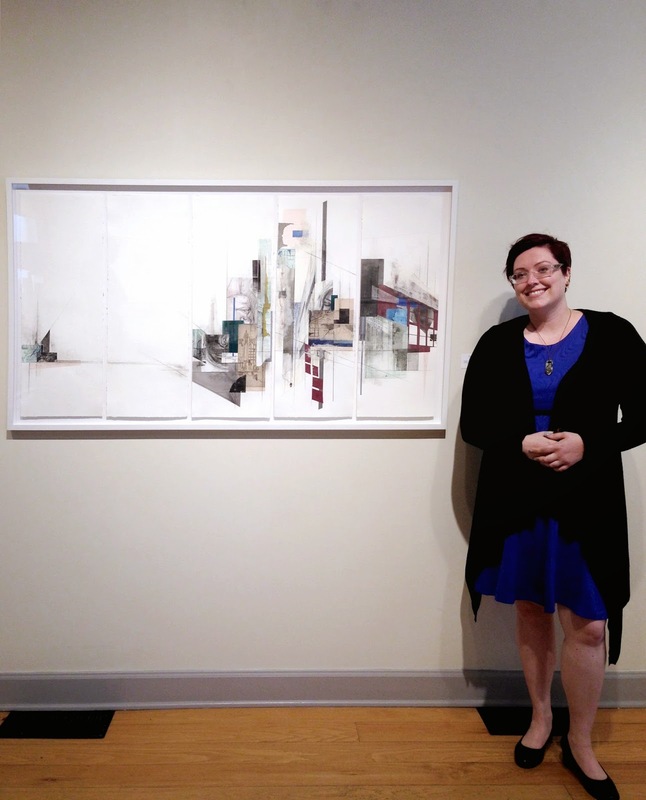 This Florida native received her BFA in Painting at the University of Central Florida. In 2006, she moved to New York to pursue a Masters degree in Art Therapy from Pratt Institute. As an artist, Melissa creates environments reflecting elements of life, growth, transition, shared experience and coexistence. 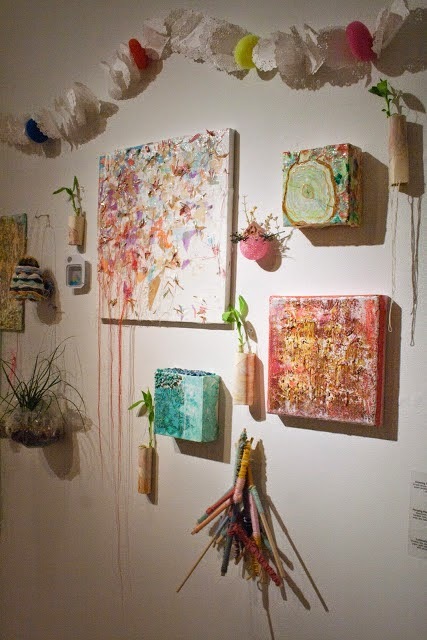 She uses these environments to form a transitional space which welcomes play and introspection. Melissa concentrates on micro and macro habitats, utilizing simple/child-like materials to demonstrate how fun and accessible art can be. In her art therapy work, Melissa specializes in an Open Studio approach, working with adults with mental illness and special needs children. She hopes to further integrate the therapeutic elements inherent in art making and the fine art community aspects of creating. 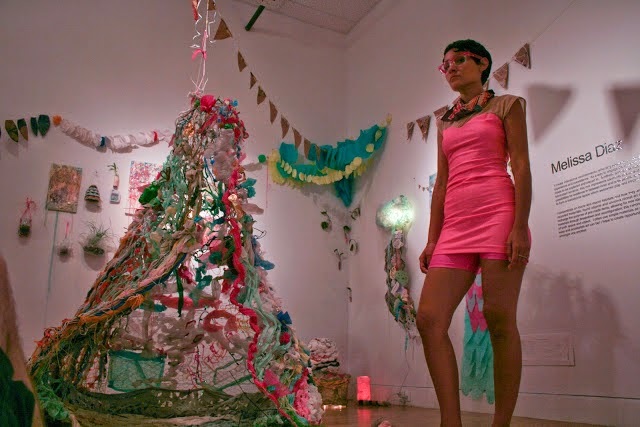 Additionally, Melissa is a community art activist, working towards starting a non-profit organization based on her community arts series, Open House Brooklyn. 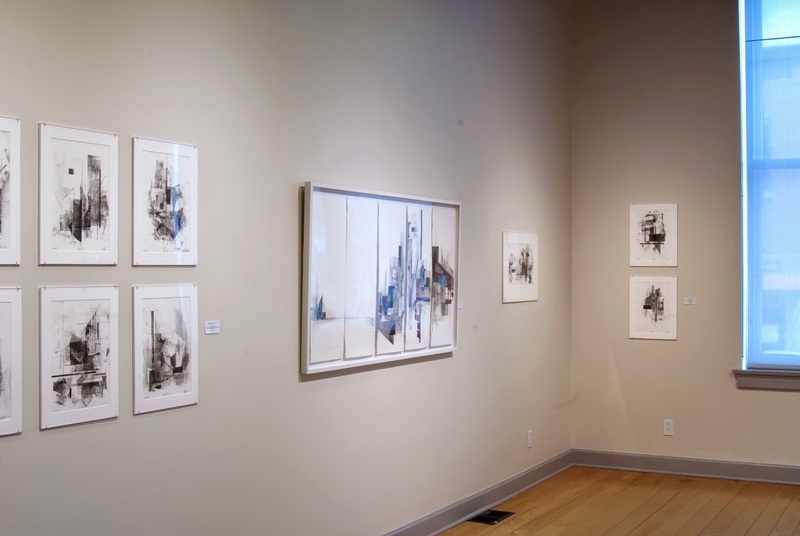 Melissa uses her artwork as a means to form a relationship with the surroundings and the viewer, paralleling her framework as both an artist and therapist. "So many memories... I am going to have to name a few. First memory is all of the crazed and fun late-night studio times in undergrad. Highlight including, a giant baby head created by Lisa, which dwelled in the painting studio of UCF for years! Second, would have to be the Deitch Project's Art Parade of 2006, in which a part of my walking float consisted of strapping a dollie (with a pad of fluffy grass on it), to Lisa's pants, as she pulled it along through the parade! Last, the exciting and crazed times at Purdue for the MakeShift show. Lisa was a stellar show director and we pulled some old school all nighters, followed by the viewing pleasures of Chocolat. Our time working together is always filled with fun, stress and a bit of mayhem. In the end, I cherish all of times collaborating and it's always a big success!" In her work, Melissa's choice of materials are playful and come together to invite viewers to participate and become part of the piece. In the case of the Makeshift show at Purdue, I enjoyed watching students reaction to Melissa's work. 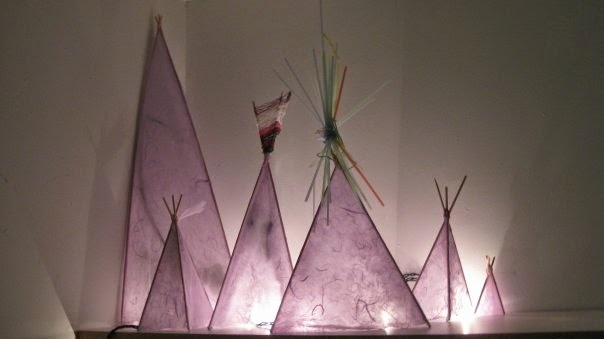 The students were very hesitant at first to participate or "mess things up", but with a little time you could see their own transformation right along with the work as they eagerly exploring new materials, techniques and relationships with those around them. When the finished piece stood alone, the individual marks made by weaving yarn, twisting paper, and tying ribbon were visible - both the process and result were reminiscent of a birds nest, a place of comfort, a home. 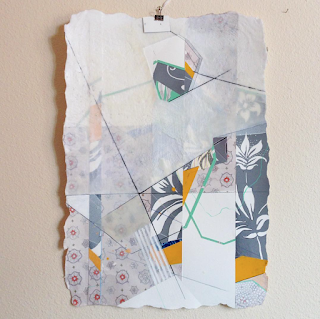 This comfort, playfulness and sense of community weaves through everything that Melissa does from her artwork, her art therapy to the Open House exhibitions she curates. By providing creative transitional spaces, she allows us to feel a sense of home we can carry with us wherever we go. My choice of texture and color where based primarily on my interpretation of the space around me. 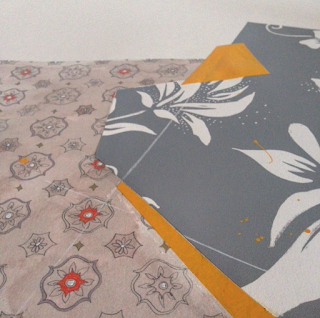 I referenced existing textures/patterns such as the chipboard walls of my studio, and the floral wallpaper in the stairwell of the house in which I was staying. 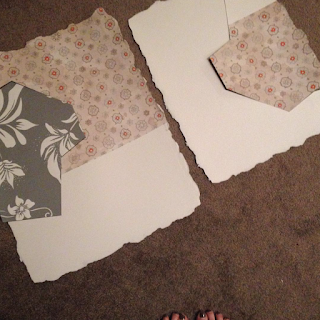 I approached these pieces in an almost opposite way that I normally work. 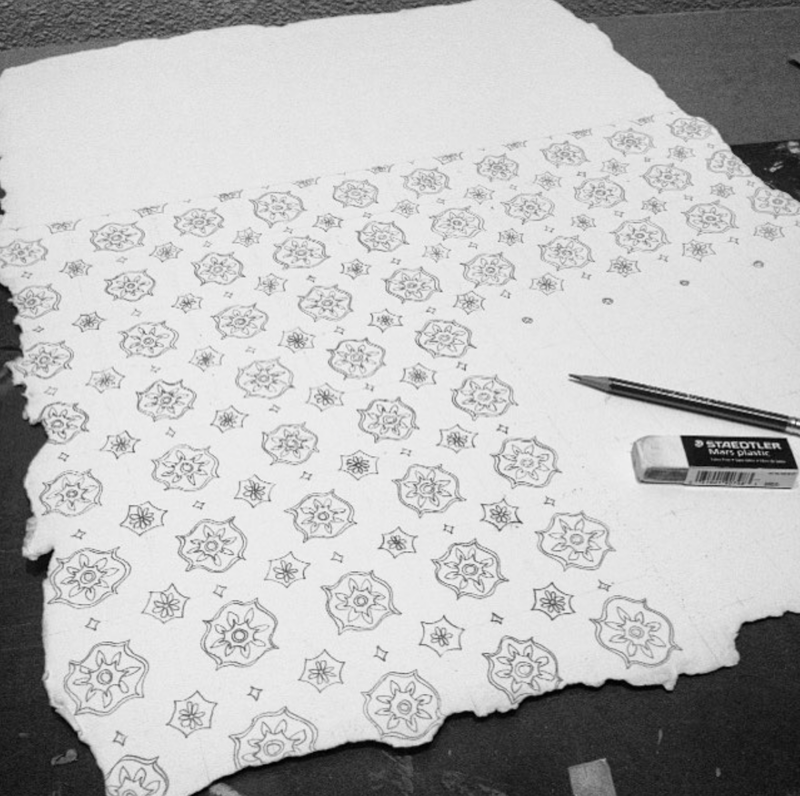 I tend to start with a solid white background and work with geometric shapes, texture and line within that space. 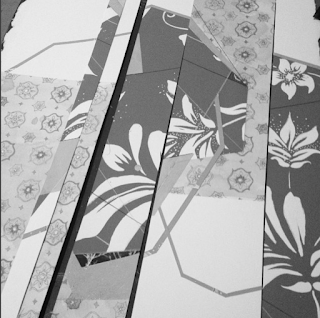 These pieces however, started with a textured background and forced me to problem solve in a new way. 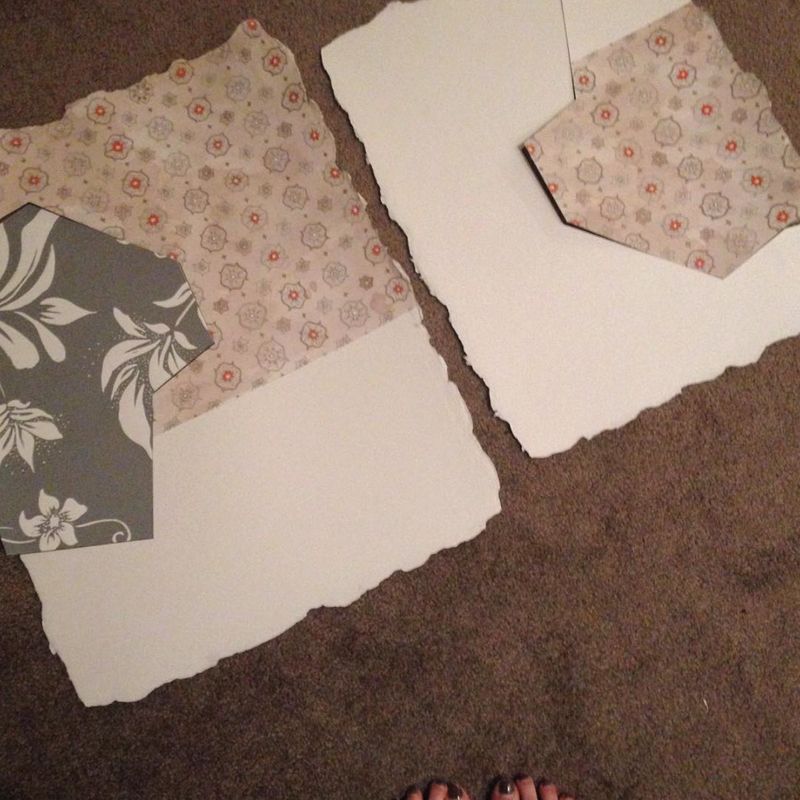 Although a struggle at times, I am happy with the resulting work I was able to make. Forcing myself to be further away from a concrete plan allowed new combinations and techniques to rise to the surface. I am interested to see how this new approach will influence my other work. 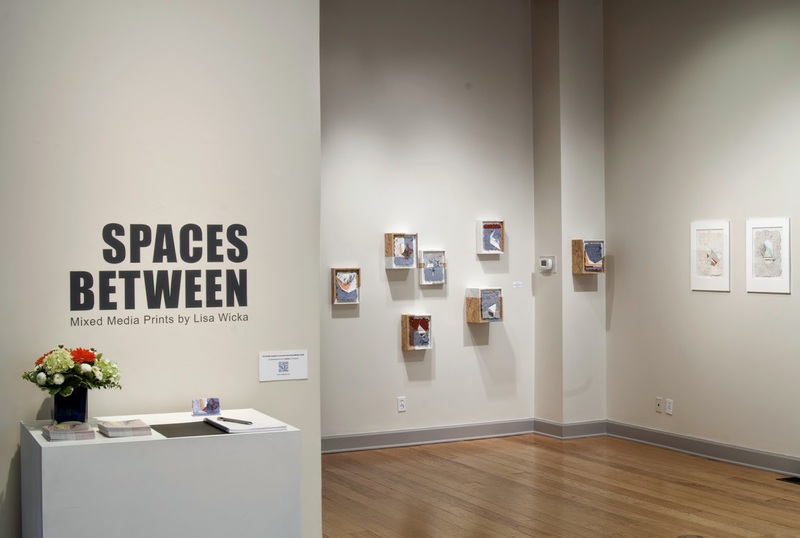 Lisa Wicka received her BFA from the University of Central Florida in 2005 and her MFA in Printmaking and Drawing in 2013. Her work has shown both national and internationally in New York, Chicago, Toronto, Mexico and Edinburgh, and Sweden. 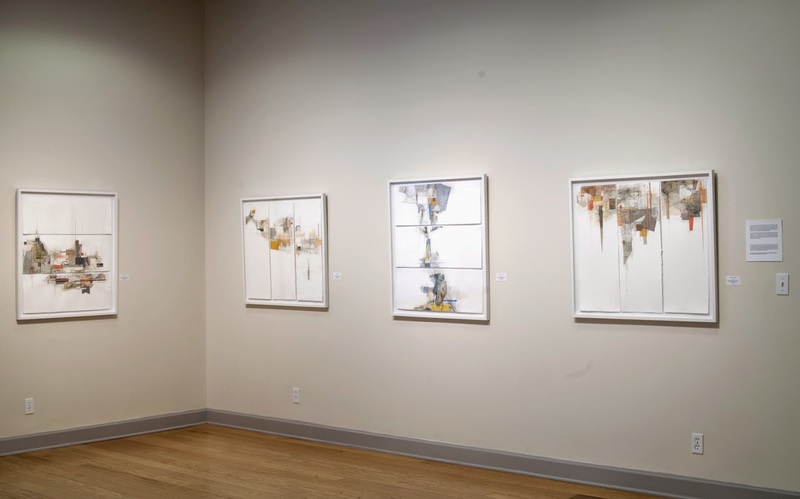 In 2012, she was awarded a summer residency at the Ålgården workshop in Sweden and received Purdue’s Delta Phi Delta Fine Art scholarship in both 2011 and 2012. 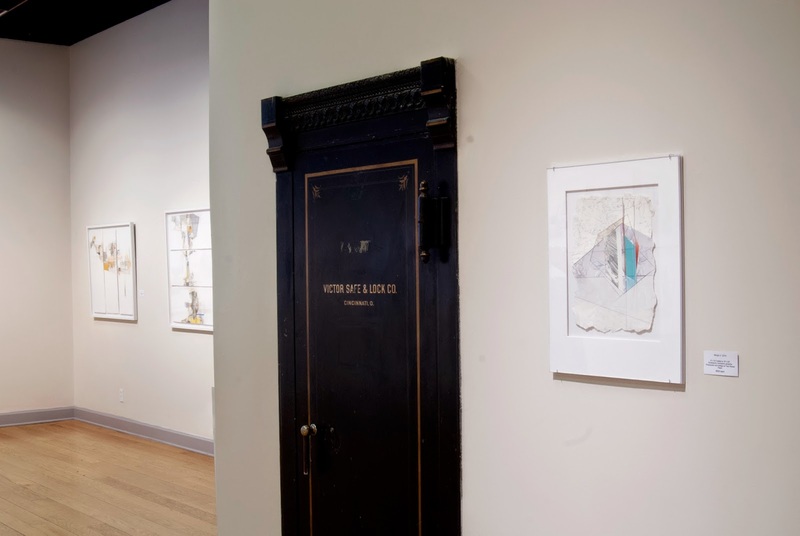 Most recently she was awarded the Granville Memorial Award from the National Society of Arts and Letters for her mixed media sculptural work, exhibited in the Andy Warhol Museum May 2013. Her work is in the permanent collections of Southern Graphics Council, Mid America Print Council, Oregon State University, Purdue University, Ohio State University and more. All images copyright property of Lisa Wicka. Simple theme. Theme images by luoman. Powered by Blogger.